Two thousand years after the cross, evil continues to brutalize and pillage in every nation and no one appears able to do very much about it. Why has the church made so little progress? While Satan lost his authority to rule on the earth, he did not lose his power. Failure to recognize this crucial difference has caused us to miss the point as to what the war over the planet is about and therefore, what we must do to win it. 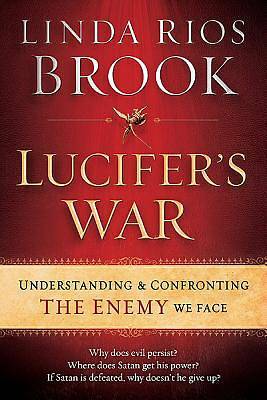 Lucifer's War offers a detailed, historical examination of Satan, the demon gods who are aligned with him, and their ancient struggle with God over humanity. While the church is the only agency on earth authorized by Jesus to deal with evil at its root cause, believers must acknowledge what has not worked and pursue a different strategy that will. This book will change the way you pray, equip you to understand the times we are living in, and prepare you for what may happen next and what you can do about it.